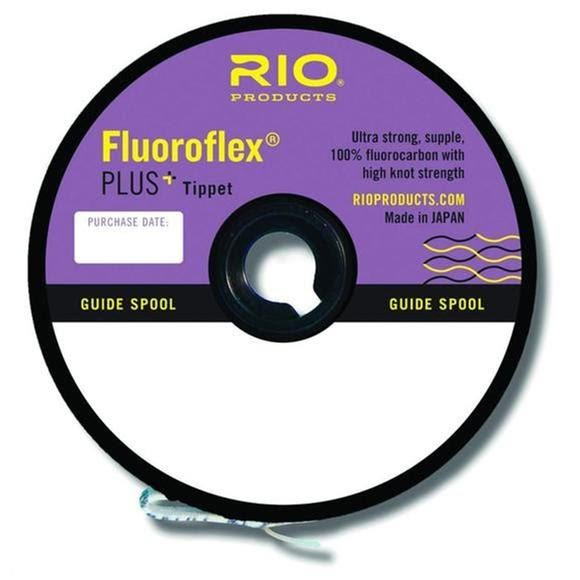 Nearly invisible to fish, Rio's Fluoroflex Plus Tippet is an ultra strong, incredibly supple fluorocarbon with excellent knot strength, even to nylon tippet and leaders. Made from the thinnest fluorocarbon on the market, Fluoroflex Plus' strength makes for great trout material. Nearly invisible to fish, Rio &apos;s Fluoroflex Plus Tippet is an ultra strong, incredibly supple fluorocarbon with excellent knot strength, even to nylon tippet and leaders. Made from the thinnest fluorocarbon on the market, Fluoroflex Plus&apos; strength makes for great trout material.